100% Export Oriented Unit of a wide range of products which include rivastigmine capsules, fabulas tablets, febucip tablets, disulfiram tablets, liofen tablets and febuxostat tablets. 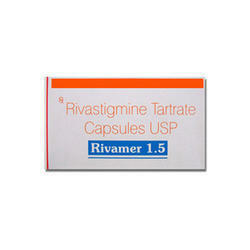 Rivamer is used to treat mild-to-moderate dementia caused by Alzheimer's disease. 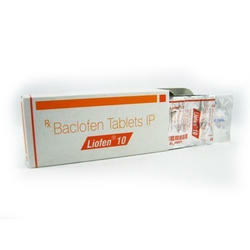 It is an acetylcholinesterase inhibitor that reduces the breakdown of a compound called acetylcholine in the brain. Rivamer in turn, improves cognitive processes of thinking, awareness, learning, reasoning, and memory, as well as patient function in the Alzheimer's disease population. 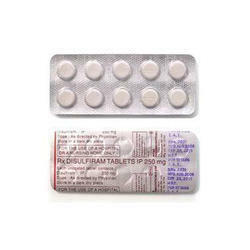 Fabulas (Febuxostat) is used to treat painful joint condition (gout) and increased blood uric acid levels (hyperuricemia). 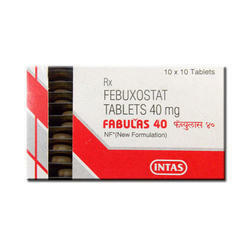 Fabulas Febuxostat belongs to a class of medications called xanthine oxidase inhibitors. Fabulas works by decreasing the amount of uric acid in the body and thereby preventing gout attacks. Febucip is a xanthine oxidase inhibitor used for treating gout caused by excessive levels of uric acid in the blood (hyperuricemia).Febucip Uric acid is formed from the breakdown of certain chemicals (purines) in the body. Febucip Hyperuricemia occurs when the body produces more uric acid than it can eliminate. Disulfiram Our company is well known in the market as a major supplier, exporter and the wholesaler of a superior range of Disulfiram Tablets which when taken with alcohol creates a lot of unpleasant affects such as chest pain, severe headache, vomiting and flushing. Disulfiram drug is used for creating an aversion for alcohol within the alcoholics and this process is used in the recovery centres. Disulfiram requires medical supervision which is coupled with counselling. Liofenis a gamma-amino-butyric acid (GABA) derivative used as a skeletal muscle relaxant. Liofen stimulates GABA-B receptors leading to decreased frequency and amplitude of muscle spasms. Itis especially useful in treating muscle spasticity associated with spinal cord injury. Itappears to act primarily at the spinal cord level by inhibiting spinal polysynaptic afferent pathways and, to a lesser extent, monosynaptic afferent pathways. Febuxostat is a xanthine oxidase inhibitor used for treating gout caused by excessive levels of uric acid in the blood (hyperuricemia). Febuxostat Uric acid is formed from the breakdown of certain chemicals (purines) in the body. Hyperuricemia occurs when the body produces more uric acid than it can eliminate. 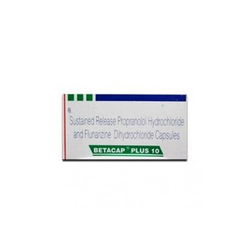 Betacap Plus Capsules Propranolol is a non-selective beta blocker mainly used in the treatment of hypertension. Betacap Plus Propranolol was the first successful beta blocker developed. Propranolol is the only drug proven effective for the prophylaxis of migraines in children. Galamer We are one of the celebrated traders, distributors and suppliers of Galamer (Galantamine Tablet) that is beneficial for improving the functioning of nerve cells in the brains. Offered medication helps in chemical breakdown and makes the brain function properly. 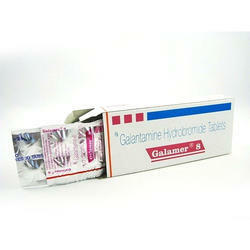 Galamer works by preventing the breakdown of acetylcholine. 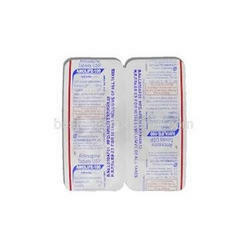 Galamer Tamper proof packaging of the medication is provided.